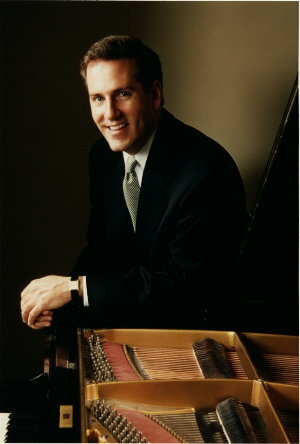 WHEN: Monday, April 3, at 7:30 p.m.
Scott Joplin, the King of Ragtime, died 100 years ago on April 1st and the Bickford Theatre pays homage to his memory with critically-acclaimed pianists Jeff Barnhart (above) and Richard Dowling. Although he died penniless, Joplin is credited with setting the standard for ragtime compositions and his hit, “Maple Leaf Rag,” revolutionized American music. As a pioneer composer and performer, he helped pave the way for young black artists to reach a broad audience both white and black. But after his death in 1917, his popularity gave way to other forms of jazz and he was mostly forgotten until the sixties when Joshua Rifkin led the way to a Joplin revival. Then in 1973, the popularity of the move The Sting catapulted the Joplin composition “The Entertainer” to the top of the charts and earned an Oscar for Marvin Hamlisch for Best Original Song, even though Hamlisch took the song directly from Scott Joplin. 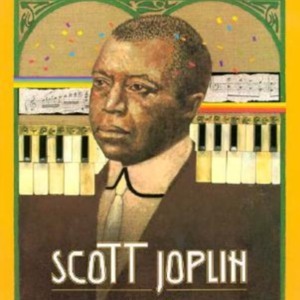 Scott Joplin has now received the credit he deserves with an induction into the Songwriter’s Hall of Fame, a special Pulitzer Prize, his own postage stamp, and a star on the St. Louis Walk of Fame. On Saturday, April 1, Carnegie Hall will commemorate the 100th anniversary by presenting Richard Dowling in concert with the first public appearance in history of The Complete Piano works of Scott Joplin. Dowling appears regularly across the country in solo recitals, chamber music programs and as a guest soloist with orchestras. His recordings include works by George Gershwin, Frederic Chopin, Camille Saint-Saens, Gregor Piatigorsky, and Scott Joplin. Dowling will be joined by his fellow pianist Jeff Barnhart (right), considered by critics to be the premier stride pianist performing today. With a concentration on hot jazz, Barnhart appears as a soloist, guest artist, and pianist in a variety of bands including a recent appearance at the Bickford Theatre with clarinetist Dan Levinson. Photo courtesy of Mystic Rag.